Welcome back to Forex professional training in financial markets. In this session we will review Metatrader 4 trading platform, the most common platform for trading in financial markets. Installation and set-up procedure of MT4 was clarified previously, thus detailed explanation will be discussed in this session. After running MT4, such figure will be displayed on your screen. Plenty of information is shown on the interface, such as account number on left overhead side. Platform type, selected symbol and its time are displayed near the account number. All features are placed on horizontal tabs such as File, View, and Insert which are below the account number. Some features inside each tab are separately executed on the lower sections. Applicable options can be collected by users on the Main Menu Bar. Default figure provides extensive features, which can be replaced or removed by user. On a predefined Menu Bar, first button on the left hand side adds new chart on the screen, while another significant modification buttons are located on this ribbon near Add Chart button. Users can also place an order by selecting the New Order button on this strip. Next strip contains different forms of charts alongside time adjustment, templates, and indicators buttons. On the Market Watch window most symbols with their ask & bid prices are shown. User has to right-click on the desired symbol to open its options. By selecting Chart Window on Option Menu of any symbol, a new chart of the regarded symbol appears on a screen, in which a user can easily remove or resize any chart. Users can also drag & drop any favoured symbol to any present chart to view the market price. This option replaces the previous chart with the new chart without resetting previous chart’s window specifications. User can select Tick Chart option on a symbol option menu to view price movement on each value change in the market. It may have multiple shifts even in a space of 10 seconds. On Symbol option menu, user can either hide or show the selected symbol. Hiding undesirable symbols speeds up the platform and its data refresh rate. Hide All option removes all symbols but those which have open charts on the screen. Show All option helps user to find a missed symbol. Selecting Symbol option assists user in find a preferred symbol, unavailable on symbol list. Symbols are categorized by broker provided market types. Click on + (plus) sign to open symbols in selected market. By Double clicking on the symbol, Hide/Show characteristic of that symbol would change. Properties of the selected symbol can be reviewed by pressing Properties button on the right hand side of the window. There are other options here available for you too such as high/low, time, auto arrange, grid, and pop-up price. Clicking on Pop-up price option the prices will be shown to you in digits. Usually, if you look at exchange shops you will see these tables, as they are easier for regular people to understand. After collecting desired symbols and removing unfavourable ones, user can save list of symbols for his/her convenience. Users can import any saved list simply by clicking it from Sets option. Removing symbols of one kind is also accessible via this option. An individual may have several accounts with various brokers. It is troublesome to download platforms of all brokers. Users can easily add his/her accounts by indicating username, password, and server and other details. Confirmed accounts are arranged on Account section in the given broker’s folder. User can easily change his/her account in a platform by double clicking on the preferred account. A real (live) account alongside two demo accounts in FXPRO and ICMBroker are applied to illustrate practical examples of trading using different accounts on MT4. MT4 indicates whether an account is demo or real and classifies them in folders by their brokerage company name. All installed indicators are displayed and categorized based on their characteristics. A customised or a brand new indicator can be merged by downloading its file. User must copy that file into a certain sub-folder in MT4 folder. Every broker has different destination folder to paste the indicator file into, so a user has to recognise destination folder name. For instance, FXPRO MT4 folder has a sub-folder called MQL4. A user must paste the indicator into this sub-folder. Afterwards, the indicator is displayed and applicable on the Indicators Menu. Any expert advisors are represented on Expert Advisor menu. As mentioned before, a user can exploit experts as an assistance to predict the market movements. Users can easily access any favoured expert through Expert Advisor menu. Terminal window at the bottom of a screen has various specification which can be selected through tabs on the lower part. The first tab is Trade, which displays open trades with their features such as order time and price, type, lot size, symbol, margin, commission, swap and the amount of loss or profit achieved. The combined balance of all open trades in addition to other specifications are displayed. Account History tab shows all transactions, sorted by order time, made on entire accounts from a specific time which can be modified by user. Right-click on this window provides user time modification menu plus some appropriate option for further application. All History represents all transactions from initial time when users started trading. Last 3 Months fetches the trades which are ordered in the last 3 months. User can define an optional time by selecting Custom Period. More time spans are available in Custom Period. News from financial markets to global events may be presented here by the broker who provides this platform. On the Alerts tab a user may develop a reminder on MT4 platform in which action type, expiration time, symbol, order type, target price, alert sound, and timeout amount can be set by user. As an important part of MT4, a user can check Mailbox frequently. Any change in provided symbol, expiration time of some contracts such as Oil or other significant modifications by a broker are declared in this tab. The most considerable issue is the expiration date of certain CFDs that a user should note if he/she has an open trade on them. Alongside those important tabs, Terminal window offers more features such as Signal, Code Base, Experts, and Journal which contain some useful information. The Terminal window would be beneficial for user to go over on open trades such as Carry trades, which were mentioned in previous sessions, to retrieve beneficial information like swap, profit/loss, and commission. These are open trades that we have ordered on a demo account. It was a brief description of Terminal window. Let’s take a look on the upside of the platform. User can remove any window by clicking on close button of given window or use the toolbar button at the top of the screen to show or hide windows. Clearing screen from undesired windows or resizing them helps traders to increase their focus and their attention on essential windows. The New Order section will be discussed in subsequent lessons. As mentioned before, toolbar buttons on the top of the screen can be removed or replaced easily by traders. Auto trading part is rarely used by traders. User can right-click on desired toolbar to open the menu window. After selecting Customize, a new window will appear into which user can insert favoured sections or remove the rarely used button such as Strategy Tester, Data Window, or even Auto Trading. Less undesired buttons and windows on the screen may enhance trader’s focus for more successful trades. Market chart can be illustrated by 3 different types: Bar Charts, Candle Sticks, and Line Chart. Trader can use Zoom-in or Zoom-out button to get more precise market price and index on a chart. Using Zoom-in on candle stick mode is advantageous especially for amateur traders. The Auto Scroll button provides trader to enable or disable auto scroll option. By each price shift in the market, even 1 pip, the chart will be refreshed to the most recent time. When trader reviews the market price of a later time, it would be a troublesome option as with each market price change, the timeframe will update to the most recent time. As it is shown here, with 1 pipette change in market price the chart is refreshed. By clicking on the Auto Scroll button, this option can be disabled. The end of the market price is not vivid enough, so a user can use Chart Shift button to alter the market price to the left for a more desirable view and analysis on chart and market price. For instance, if a trader wants to analyse this region, it would be quite difficult. Hence a trader enables Chart Shift and a grey arrow appears on top of the chart to modify the rate of shift. The arrow permits a trader to create desirable gap between the market price and the edge of the chart. A trader can attach indicators and oscillators on chosen chart by Indicator Add button. For instance, trader might like to add CCI (Commodity Channel Index) on a chart by selecting it from Indicator menu. After attachment of CCI, indicator properties menu can be provided by right-clicking on it. Size, colour, and optional level can be modified in the Properties menu. If trader likes to add a 0 level, it would be simply done here. By choosing the Delete option, indicator will be removed easily from the chart. The Time span of the given chart can be changed by trader from Periods drop menu. Its Separated time spans are displayed on the lower level of the top toolbar, too. Trader can save the desired templates by this option, which will be described in details later. On the lower strip of the toolbar, various timeframes are displayed. M stands for minute while H, D, and MN represents Hour, Day, and Month, respectively. In acronym, numbers stands for the duration of that period. For instance, M30 displays 30 Minutes while D1 stands for 1 Day. If a user moves the cursor on a chart, some important data would be displayed at the bottom of the screen. The first box shows the timeframe of a chart where the cursor is. Considering that a user changes chart mode to candle stick, each candle stick has Open price, abbreviated to O, which is shown in the next box. H and L illustrate high and low prices of that candle stick. C stands for close price of the given candle stick. Volume of transaction is shown on the last data box. If a user changes the pointer style to Crosshair, both price and time would be displayed on the screen. Trader can figure out more details of a candle stick alongside more convenient pointer actions on different timeframes and prices. If a trader requires the amount of pip, if that price shifted from a certain spot, he/she can easily left-click on the initial point and drag the pointer to the destination spot. A set of information is shown at the right side of the pointer, showing the number of candle sticks and pips between two spots, in addition to the market price where the pointer stands. For example, the number of candles crossed are 3 and if the pointer goes further this amount rises. The second digit shows 100 pips difference between two points and the third digit is the market price. Vertical line can be drawn on the chart by selecting the Vertical Line button. This line can simply be moved or deleted by trader after selecting it by double-clicking on it. This line has the same properties and procedure as Vertical line, however, it can be drawn horizontally. More sophisticated line is Trendline which can be traced in a bevel shape. Trader can click on the start spot to draw a sloped line. If a trader likes to modify this line, he/she should double-click on the line and 3 square points will appear on the line. If a trader wants to move the starting point, he/she should drag the left spot. Trendline can be moved by changing the location of a middle spot, though the slope will remain unchanged. Finally, the right spot is useful whenever trader intents to modify the slope of a Trendline. If a user desires to discard the infinite length, first he/she should double-click on the line then right-click on it. After choosing the Trendline Properties, trader should remove tick of Ray box in the Parameters tab. In this condition, the right square box would change the slope alongside the length of Trendline, just like the left square control point. Trader can also choose the Delete option to throw Trendline away. Trader may like to add a text to the chart by pressing Text button on the toolbar. Location of a text can be changed easily. Traders can place shapes on the chart using the Arrow menu. From Properties menu of the shape, a user can modify its colour, size and any attached text. Any undesirable option and/or button can be removed as mentioned before. The Toolbar without any undesirable buttons helps a trader to develop a more convenient setting and environment. A compact toolbar, limited to 1 line, creates more space for a chart, consequently more suitable facilities for higher efficiency. Customization of a toolbar depends on user’s trading manner. A Trader can check internet connection of the platform, its speed in Kilobyte on the right-bottom side of the screen. Clicking on the internet box opens the server list of the given broker in which a user has an account. Here multiple servers are indexed for trader’s reference, in case he/she would like to change to any one of them. On start-up step, the fastest and best server available is chosen, however, a trader can change server for any reason. Sometimes a trader will prefer to pick up a server based on its location. For instance, in this demo account trader can change the server to any one of those listed below. In the chart section, a trader can change display of the window. Multiple charts of certain symbols are shown so a user can observe all of them simultaneously or he/she can use full-size option of a chart to resize it for better focus on a certain symbol. Trader can restore the previous size by pressing this option again. The location of a chart can be modified by trader on the basis of his desired symbols. The Market Watch window is not the only method to open a symbol chart. On the right-bottom side of a chart, exactly on timeframe, user can double-click to activate an attractive option in which trader can manually choose a symbol in addition to timeframe type. For instance, on GBPUSD chart, user can type EURUSD then press Enter. Thus, the symbol on the chart is changed to EURUSD. The Timeframe can be set to 4 hours by entering H4 after EURUSD, considering that the acronym of each time frame should be written in capital letters. If a trader desires to change timeframe only, he/she should enter the preferred timeframe only and follow this by pressing the Enter button. If a trader right-clicks the chart, chart’s menu opens that consists of various noteworthy options, such as sell/buy and stop/limit, which is in the Trading section. The New order window is also available on Trading section. Indicators attached to the chart can easily be modified via the menu. Timeframe and Templates of specified chart are accessible from the menu, too. Predefined templates can be applied through Templates section. Trader can save the desired template of that chart for his/her future use, which can be highly beneficial. For instance, a user may attach Alligator and Bollinger Band to a certain chart. If the template is saved through Template section of chart menu, it can be easily accessed on another chart. On another chart a user should go to the Template section of a chart menu, then press Load Template. By choosing a saved template, a favoured template can be set for a chart. Trader can also transfer the template files to another person. To refresh a chart, a user can press a Refresh option. Grid lines can be enabled through Grid option. Volume option displays or hides the volume of each candle stick in a chart. The Chart menu includes one click trading in addition to other chart options. The last option on a chart menu is Properties. The Colour of each chart feature can be tuned in Colours tab from Properties. Trader can either select each feature colour individually or choose custom default in Colour scheme drop menu. Common tab of Properties provides detailed features such as scale, chart mode, auto scroll, and chart shift. On the MT4 platform, several ways to access these features are designed simultaneously. Although there are numerous features on MT4 platform, we discussed the most required and most popular features. Profile is another common specification of MT4 that should be considered. The trader can save the desired charts order on the screen in a profile. Later it would be beneficial to retrieve the saved profile. For example, a trader may intent to bring back a profile with EUR or GBP charts so he/she can select a certain profile from the bottom of the page. Any chart arrangement can be saved through Save Profile As section in profile menu. That concludes this session, until next time and another session take care. 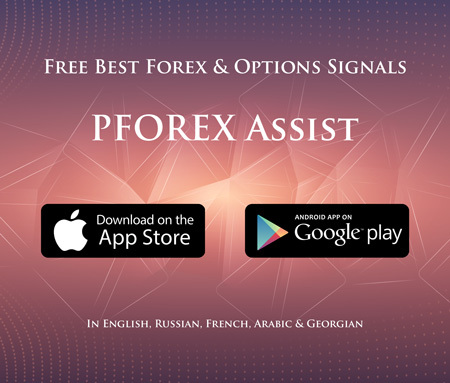 You can also view the video of this session available on the PFOREX Financial Video tutorials. The PDF file of this session is also available.